The end of Muromachi period, there was internal squabbleover headship right in Ashikaga Shogunate and because of itShogunate lost control over lords who ruled outer regions andthey started fighting each other to expand their territories. Load Oda Nobunaga and his subodinate Lord ToyotomiHideyoshi were mighty samurai lords tried ruling Japan. After thedeath of Oda Nobunaga, Toyotomi Hideyoshi took the power andconquered other lords territory to unify Japan. Also, supported by the two lords, Sen-no-rikyu devised teagarden for tea ceremony. 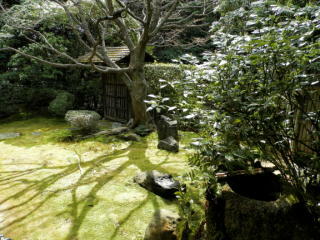 The garden was, as a counter part ofgorgeous gardens of that time, made to be quiet and austere. 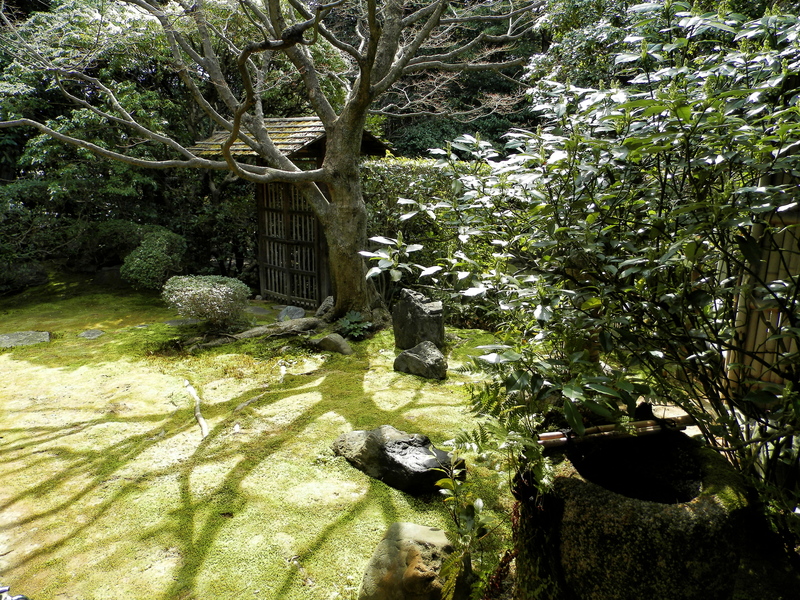 Thegarden made guests feel as if they were walking in a forest andtook them away from their daily life to prepare for tea ceremony.Stone lanterns and stepping stones were started to be used intea gardens. Later Sen-no-rikyu was executed by Lord Hideyoshi, yethis pupils, Furuta Oribe and Kobori Enshu, developed tea gardensfarther. 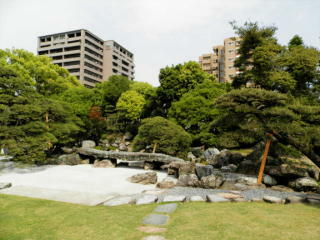 The tea masters invented Sukiya-zukuri housing style fortea houses. Sukiya-zukuri was an unrestricted rakish housing,which characteristics of woods were fully utilized to impressartlessness. Even today, Sen families are leading the teatraditions in Japan.